Let’s illuminate The 606 together! 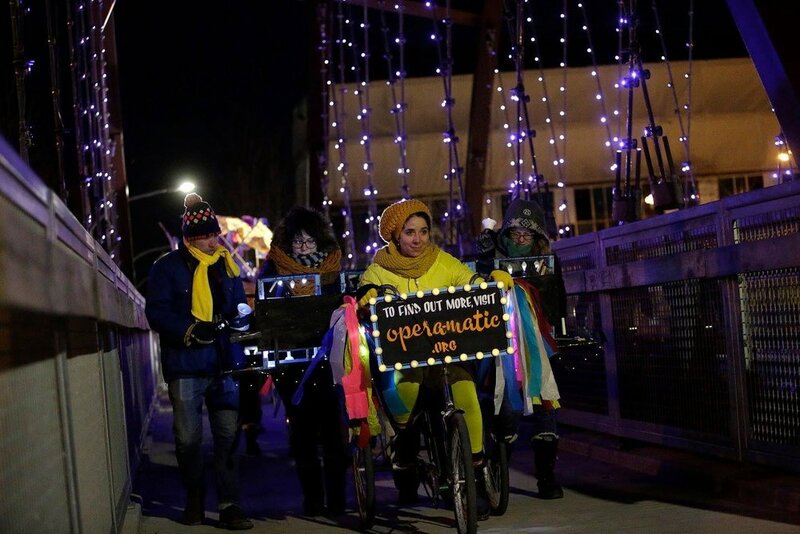 Opera-Matic and several outstanding arts and cultural organizations shone brightly while walking The 606 in January. Participants wore or carried their own lights —LED candles, glow sticks or strings of lights fastened to jackets. We began our stroll from the Spaulding entrance, and headed east to Park 567 at Milwaukee/Leavitt, led by a magical bell choir. 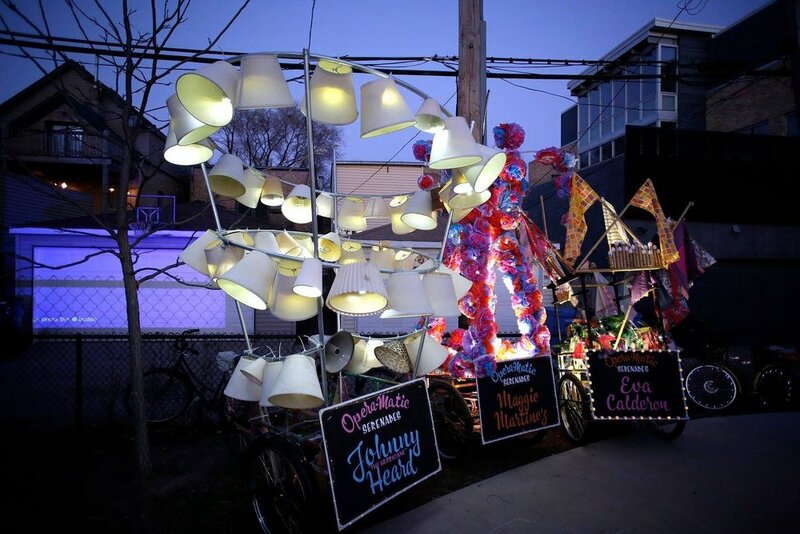 Bicycles incorporating a whirl of lampshade hurricanes strode along in honor of legendary community hero and boxer, Johnny "Hurricane" Heard. At Park 567, families played with light and scale at our factory inspired shadow puppet station.